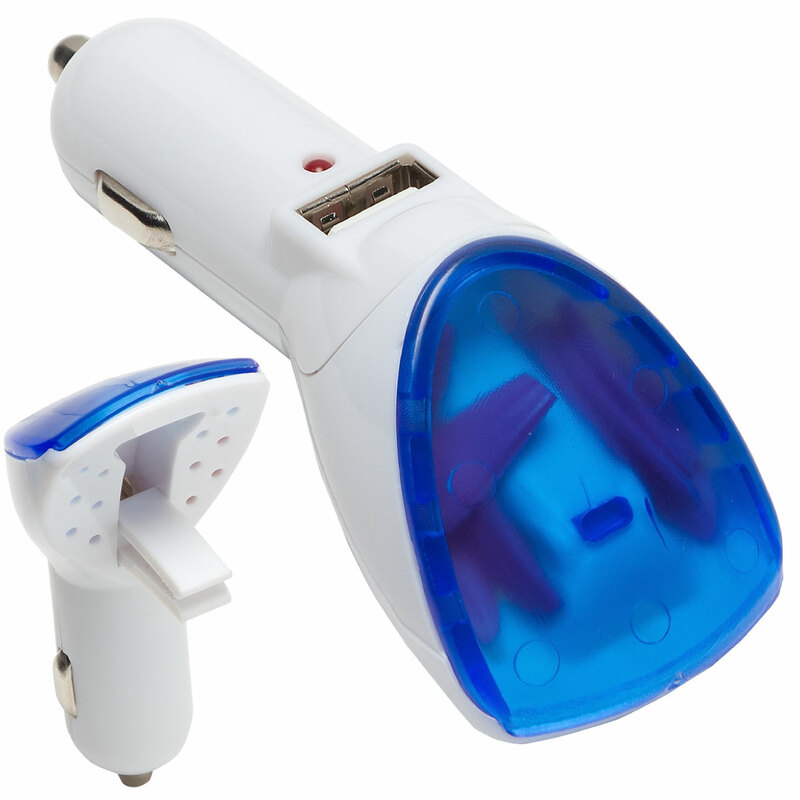 Two items in one, this car adapter for USB devices. Snap on vent for use as air freshener. With CE, RoHS certifications. Imprint Area: 0.75" x 0.62"